I’ve loved the idea of folding gadgets ever since Arthur C. Clarke talked about flexible “SoftScreens” in books like, The Light of Other Days. A device that can be folded and crumpled without breaking? 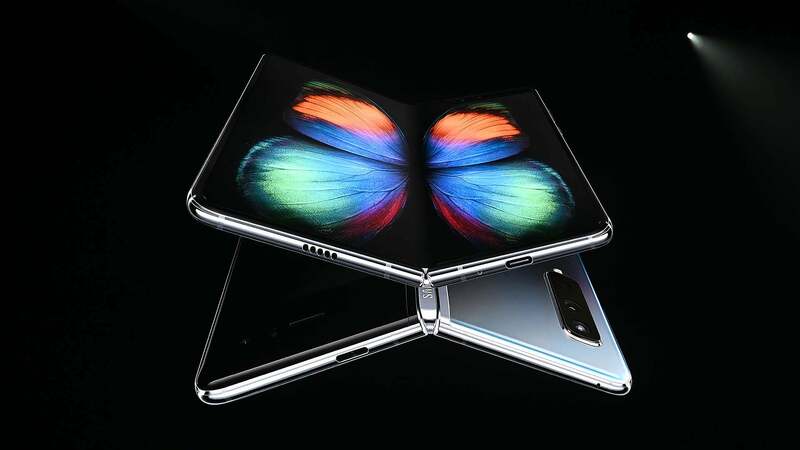 That’s my idea of the perfect gadget, and while the bendy Samsung Galaxy Fold and Huawei Mate X seem like they bring us one step closer to that, in reality, the first batch of folding phones are going to be even more fragile than the smartphone you carry now—at least until a few other crucial technologies catch up. The glass screen on the smartphone you’re currently using is a marvel of chemical engineering, designed to withstand taps, pokes, swipes, the occasional run-in with your keys, and even repeated drops. What it can’t do is bend or flex past a certain degree, which you may have accidentally discovered after sitting on a phone left in your back pocket. So the first wave of folding phones—including the Galaxy Fold, Mate X, and the Royole FlexPai—instead use plastic screens which appear to fold as easily as paper does in the demos we’ve seen; but they’re hiding a dirty secret. Materials like paper and plastic can’t recover their original shape and structure at the molecular level after being flexed and folded like more rigid materials are able to. As a result, creases will eventually appear where these folding screens are being stressed, which Samsung and Huawei have worked hard to downplay so far. Plastic is also less resilient to wear and tear—you probably don’t care about scratches on a disposable £10 plastic screen protector, but you will on a £2,000 smartphone. Unless you’re desperate to remain on the bleeding edge of smartphone tech, you’re better off waiting a few years to upgrade to a folding device. Wired’s Brian Barrett spoke to John Bayne, the Senior Vice President and General Manager of Corning’s Gorilla Glass product. The company is working to merge the strength and resilience of Gorilla Glass with the flexibility of another Corning product: Willow Glass, which is flexible enough to bend and roll making it ideal for industrial and architectural applications at the moment. One of the biggest challenges with adapting the Willow Glass technology for use on touchscreen devices is that it’s manufactured using sodium materials like potassium; and salt simply doesn’t play nice with the transistors required to make touchscreens work. 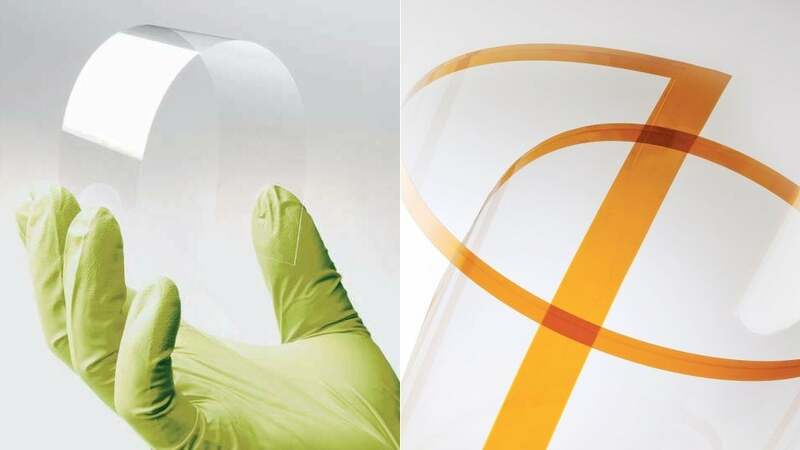 Nevertheless, Corning has already delivered a few early samples of a flexible Gorilla Glass product to OEMs, and Bayne predicts it will only be a few years before bendy phones will be as durable as the rigid slabs of glass we all use now. But waiting for glass technology to catch up isn’t necessarily the only solution to making flexible devices that can survive the horrors and abuse of the average smartphone user. In 2014, researchers at the University of Illinois at Urbana-Champaign demonstrated a bio-mimicking plastic that bleeds and heals like human skin. But instead of blood, when the plastic material is damaged it excretes liquids that combine to form a gel that hardens in about three hours, automatically repairing and hiding the damage. And in 2011, a team of French researchers developed a polymer that remains strong and rigid when cool, but becomes malleable when warmed allowing scratches, dents, and other damage to be healed. So imagine dropping your flexible phone on its charging pad at the end of the day, and overnight it heats up and fixes all the damage you caused.